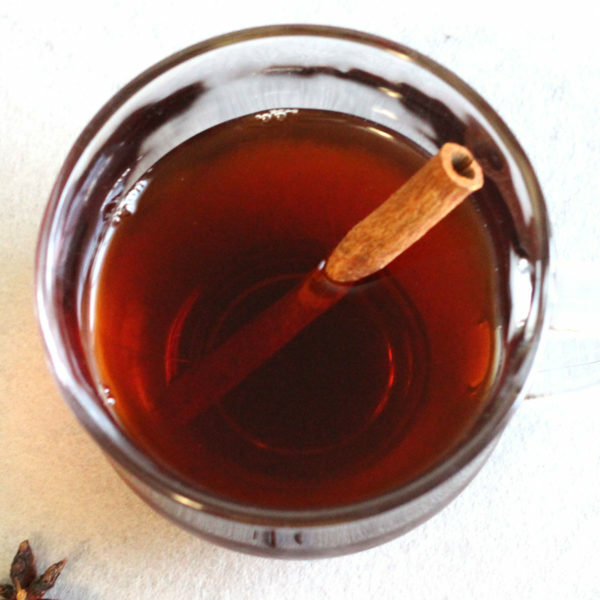 Mulled wine is a traditional winter alternative to fruit punch. It’s a little spicier, and a little more warming to cold bodies. While it involves a lot of ingredients and a little bit of cooking, it’s easy enough to make. The simmering brings out a lot of flavor from the other ingredients. Like any cocktail recipe, this one can be tweaked to taste. You may prefer a little more or less sugar, for example, and some people find even a little bit of anise overwhelming, so you may need to experiment to find what works for you. This drink is probably best enjoyed alone, after dinner or during a cold evening. The spices make it a little heavy to pair with many foods, but it can work well with steak, salmon or pork chops. It can also work with cheesecake or chocolate cake. One flavor that tends to work especially well with it is coconut, so you might try it with a coconut cake, coconut shrimp, or just about any recipe involving that taste. The spices may be too much for some guests – especially anyone with any digestive issues – so when you’re entertaining, keep a simple bottle of red wine on hand as an alternative. Note that this recipe calls for a vanilla bean. If you like the vanilla flavor, you can enhance it with drops of pure vanilla extract, adding one drop at a time to taste. Mulled wine is a delicious warm drink made of wine and cognac cooked with sugar and spices. It transforms any leftover or cheap wine into something wonderful, warm and comforting. Combine the ingredients in a sauce pan and simmer for 25 minutes. Let it sit overnight if possible (in the refrigerator is fine). Strain out the fruits and other non-drinkable ingredients and serve it warm in glass mugs. We made this for a Christmas party and it was a big hit. I hadn’t ever had it before, so I was pleasantly surprised.